The window of this cafe offers a familiar view. I look out on an intersection, four corners beside a steep city street. I watch from one corner. The remaining three corners feature a vinyl record store, vintage clothing shop, and organic cafe, respectively. The weather is slate-grey and windy, but every so often a pair of pedestrians–dressed in the bold colors and thrift-store chic that is its own urban uniform–forges up or down the hill. 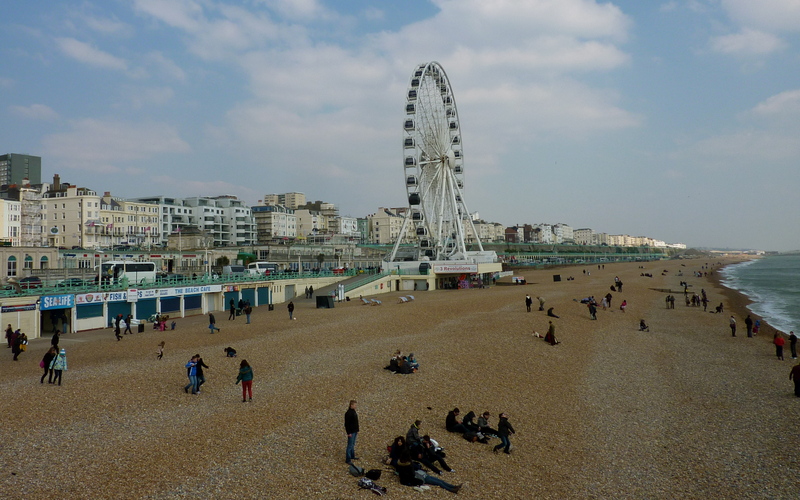 I’m in Brighton, a city on the southern shore of Great Britain, but it looks like Seattle. I close my eyes and hear the barista and servers speaking the French that is native to this patisserie, while the other customers converse in a million shades of British English. But when I open my eyes, I could be on Capitol Hill, having just ducked in from a tempest in another rainy city. I’m reading Travels With Charley, Steinbeck’s memoir of his camper-and-poodle adventure across America in the 1960s. He recalls a conversation he had with an old friend in Monterey, arriving at his old California home after many years. He finds it different, predictably, irrevocably altered from what he remembered and knew. It’s been three years since I decided to leave Seattle. In August, it will be three years in Kandern, a place that has become a home, rich with community and simple familiarity. I often miss Seattle, but it is relationships that draw me most, seldom the city itself. Yet here in Brighton, a brief stop during spring break, I’m reminded of the one city I truly love, thousands of miles away but always close. 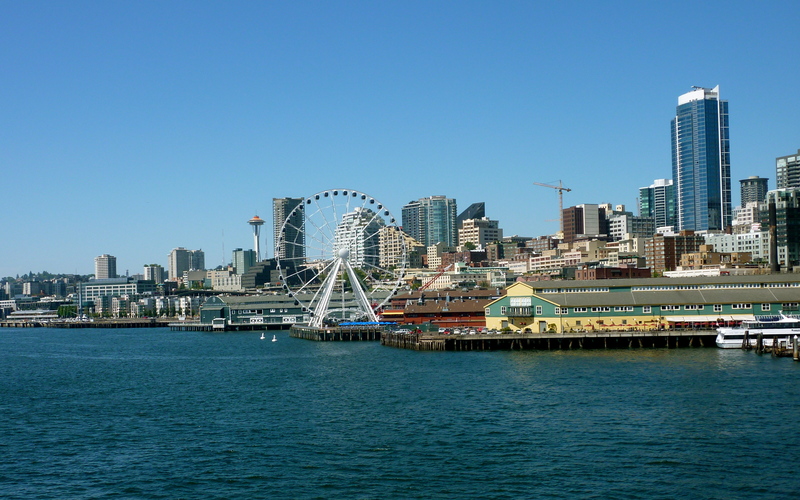 After only two visits in three years, I’ll return to Seattle twice this year: once in the summer, to bask in the best of Pacific Northwest seasons, and again in December, to get married. I hear Steinbeck’s warning: you can’t really go home, not to the home you knew. How tempting to believe that our homes and lives exist just as we left them, like a playroom with the light off, all the toys waiting for us to return and pick them up. But it’s not like that, I know. As I’ve changed in this time, so have the people I know and love in that faraway home. It’s an experience I share with our students, and one I appreciate more the longer I live here. I see them oscillating between continents, these flexible young people changing languages, relationships and cultural norms half a dozen times a year. For many of them, there is Kandern, the country in which their parents serve, and the North American country of grandparents and supporting churches. If these places have any space in their hearts, being anywhere is a balancing act of longing and appreciating, seeing where they are and missing where they’re not. Three years is different from a teenage lifetime, but I’m beginning to understand. Sipping coffee in Brighton, I miss the city it reminds me of, six thousand westward miles drawing me to itself. Paradoxically, in this grey and busy city I also find myself longing for the warm green hills of Kandern. Surrounded by strangers, I miss seeing people I know every time I go outside. I’m always missing somewhere. The challenge, then, becomes living fully where I am. Waking each morning and remembering that God has made this day, that He’s here in this place, and that I live to serve Him. In Brighton, in Seattle, in Kandern. He is still my home, everywhere.